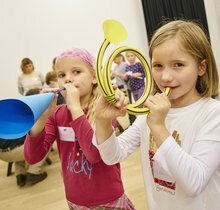 There's no need for holidays to be boring: four Elbphilharmonie holiday workshops offer lots of different ways for children and young people to let off steam – creatively and musically! 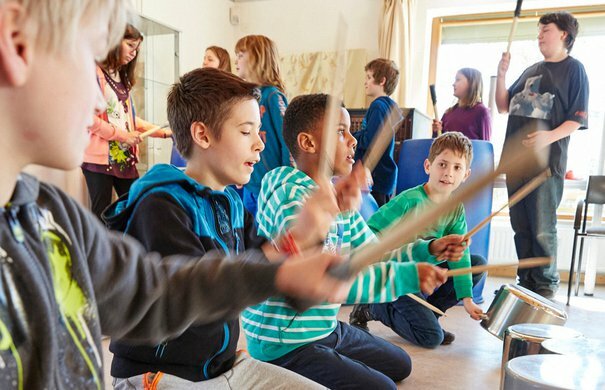 The Elbphilharmonie’s holiday workshops give children and adolescents aged six and above the opportunity to try their hand at music, rhythm and dance. The workshops take place in the Elbphilharmonie Kaistudios, at Kampnagel and in various Hamburg districts. Feel the rhythm! 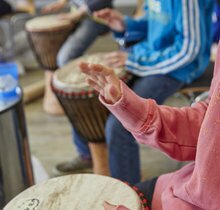 In this BeatObsession workshop, participants get to drum on everything they can get their drumsticks on, from everyday objects such as pans, dustbins and wooden boxes to their own bodies. There is no limit to where their creativity can take them because it’s possible to produce cool beats on pretty much anything. 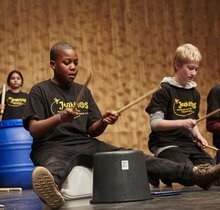 For one whole week, children and teenagers explore their feel for rhythm under the guidance of professional drummers – before joining forces in a group to fire up a first-class display of beats. 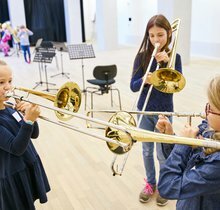 The workshops are also held in various Hamburg districts, and a closing concert will be given on the stage of the Elbphilharmonie Recital Hall. Please note that only children may participate in this workshop. Supported by the Hamburger Volksbank. 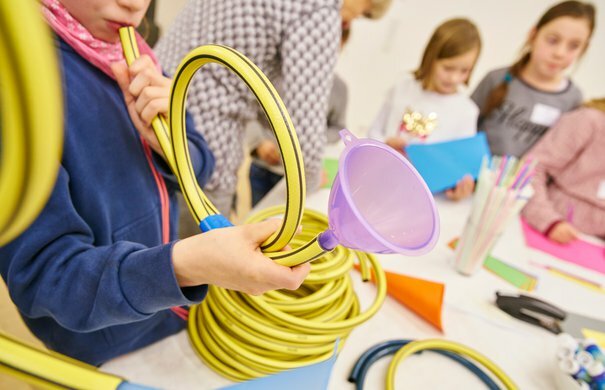 In cooperation with the Begegnungsstätte Bergstedt, Honigfabrik Wilhelmsburg, Freie Kulturinitiative Jenfeld, Kl!ck Kindermuseum, SME e.V. and KIKU Lohbrügge. They may lurk at the back of the orchestra but when they join forces things can get very loud and dramatic indeed: the trumpet, trombone, tuba and company are the powerhouse behind any symphony orchestra. But they can also produce wonderfully quiet and emotional sounds too. 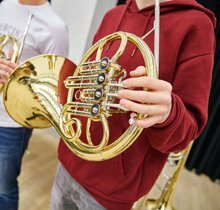 In these one-day workshops, professional brass players present the instruments in all their richness and diversity. 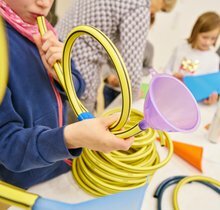 Then, when building their own simple instruments, the children learn what elements are needed to make a wind instrument sound. Please note that only children may participate in these workshops.